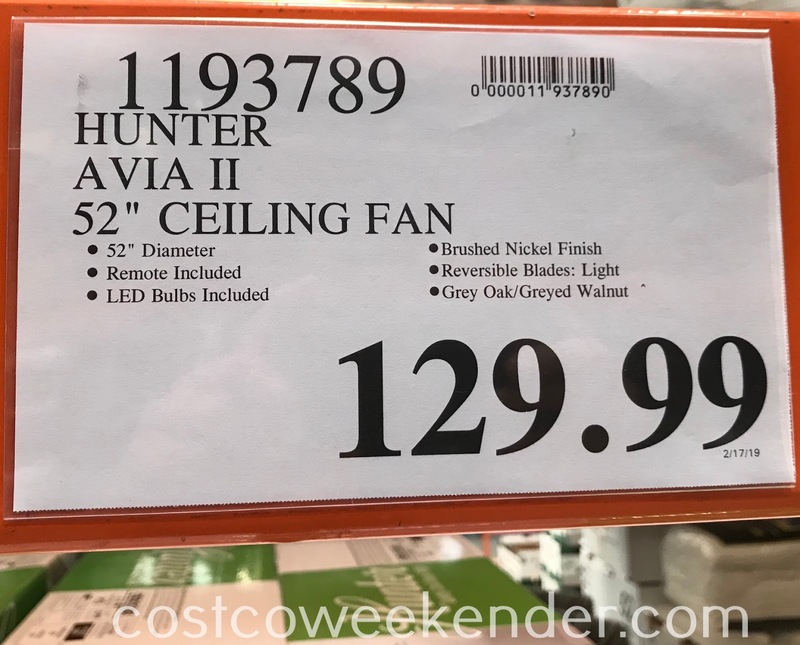 A good way to keep your home cool this summer is to install a ceiling fan like the Hunter Avia II Ceiling Fan from Costco. 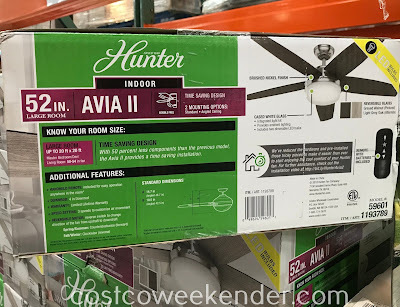 The Hunter Avia II Ceiling Fan will help to keep the temperatures low for large rooms in your house. 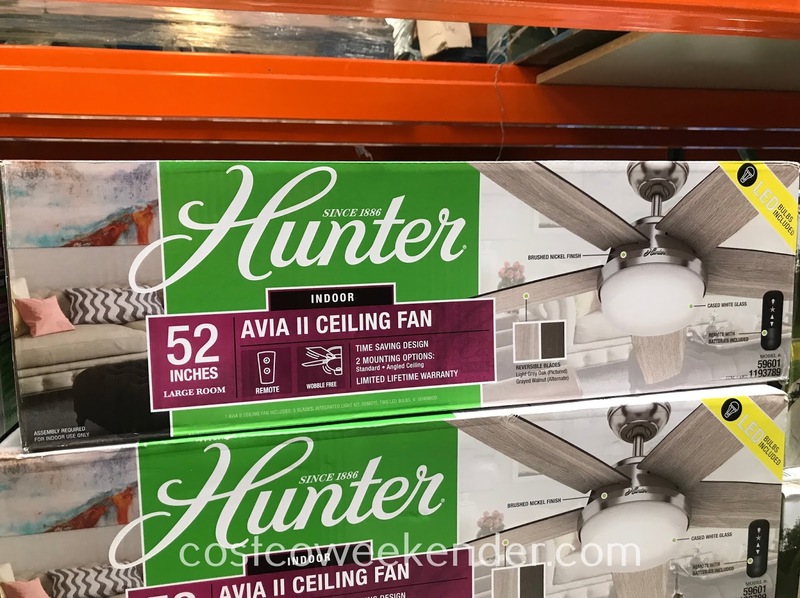 You can put this in a master bedroom or even the living room. A fan is a great alternative to running the air conditioner which would require more electricity and a higher energy bill. 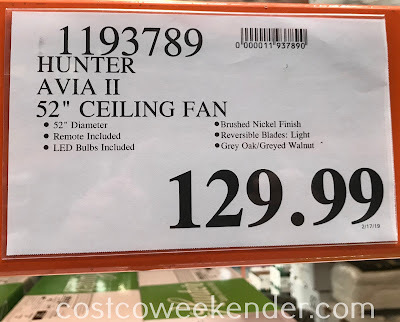 The Hunter Avia II Ceiling Fan is stylish would even look and feel great in your home especially in the middle of a heatwave. We've reduced the hardware and pre-installed those tricky pieces to make it easier than ever to start enjoying the cool comfort of your Hunter fan.